Football is life in my home! Between my husband watching his beloved Raiders and my son playing football as a PeeWee, you could say football is a huge part of our life. We love spending Sunday’s watching the game and what better way to watch the game than with some yummy food! 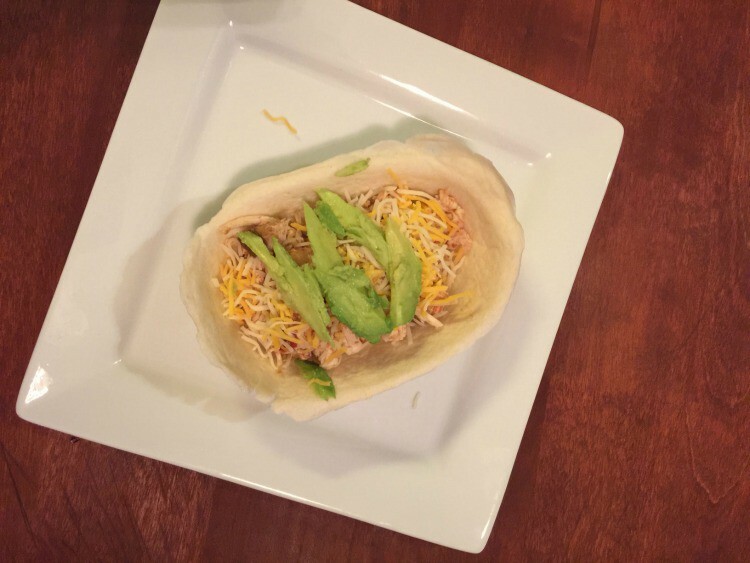 For this tasty recipe, I headed over to Walmart and picked up some Old El Paso Taco Bowls. 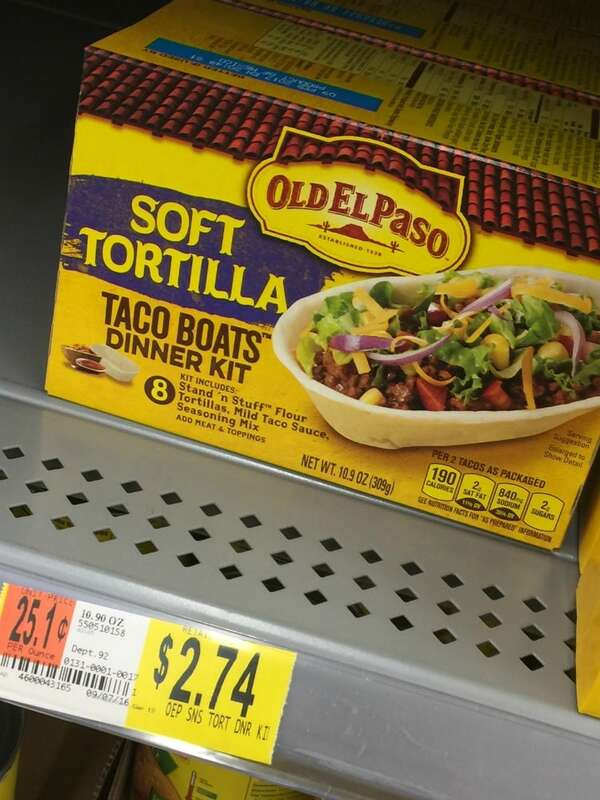 Toss everything in the crockpot expect the Old El Paso Taco Boat Kit. Let everything cook on low for 7 hours. Once cooked, take out the chicken and shred, then add the shredded chicken back into the crockpot. Make sure all the chicken is coated with the juices in the crockpot. 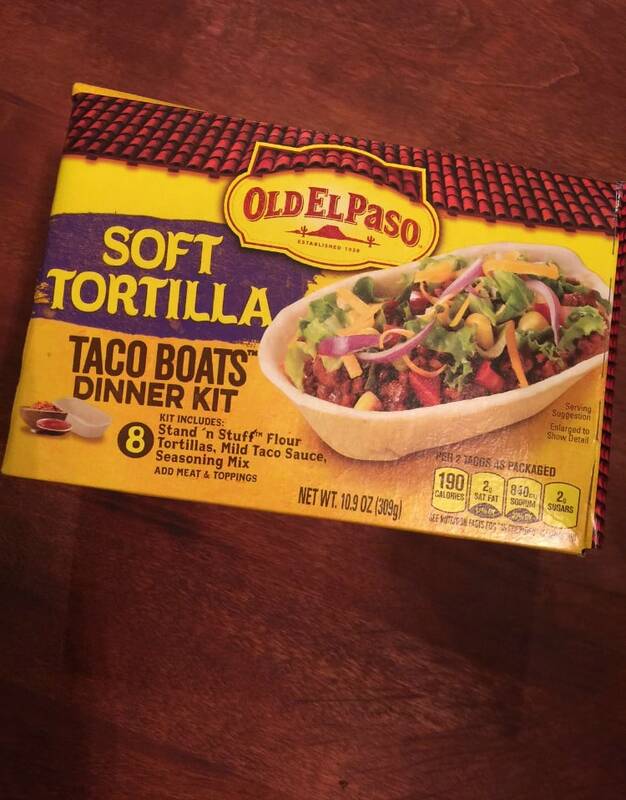 Serve chicken in the Old El Paso Taco Boat Kit’s. Top with your favorite toppings. We used shredded cheese and avocado. Perfect, easy and absolutely delicious. Get creative with the taco boat kits, there are so many different things you can do with them!